Big beautiful home with a remodeled interior, exterior makeover and newly designed landscape. Home features, hardwood floors, Living Room Fireplace, Master bedroom Fireplace, walk-in closets and whirlpool tub in Master Bath. Bonus features include, surround sound, walk-in attic storage and recreation rooms. Interior freshly painted, new carpets, new stove-top. Outside features a screened in porch, outdoor fireplace, with a wooded setting, multi-zone irrigation system, and a side load 3 car garage. Home is warm and inviting in a wooded cul-de-sac lot. 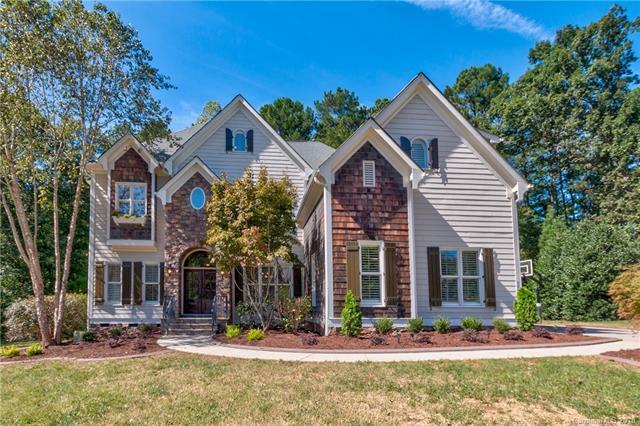 Walking trails nearby and close proximity to Lake Norman - featuring private boat slips, pool, and clubhouse.